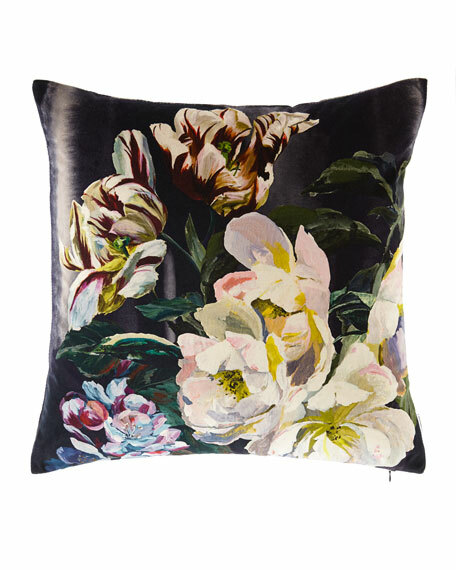 Rich and evocative floral pillow with large scale expressive tulips, apple blossom and roses. 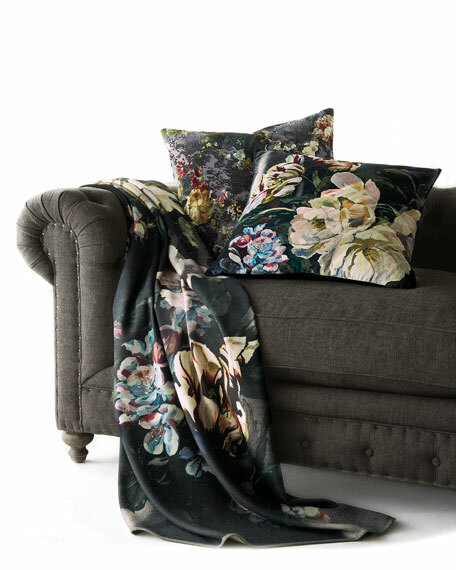 Deep tones of graphite are uplifted by delicate shades within the flowers. 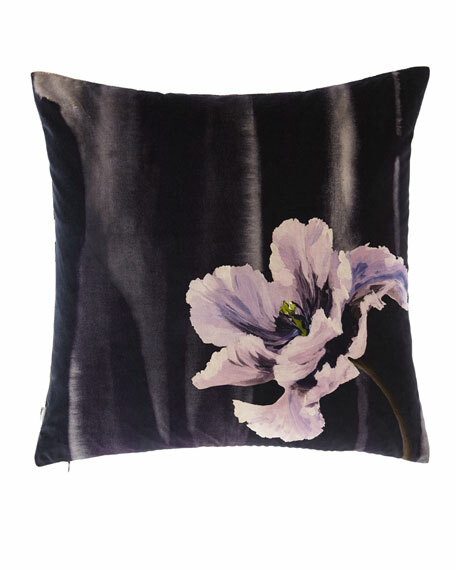 Digitally printed onto luxurious cotton velvet, this sophisticated large square decorative pillow reverses a single flower stem.